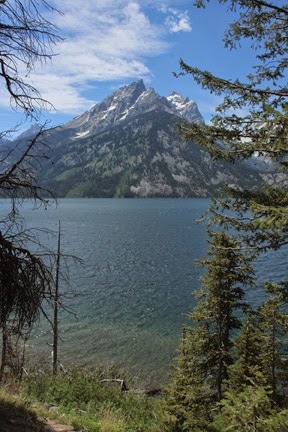 Here's a shot of one of the peaks with Jenny Lake in the foreground. We've seen it when the water was still and there was a beautiful reflection but that wasn't the case this time. But you go with what you get and it's still incredibly beautiful. We saw no wildlife and didn't even encounter a ranger--which is not to insinuate that I consider the rangers to be wild. It was just an observation.